Well, we started this week off with a bang! It was a very busy week. We had part 2 of our quarterly meeting to go over the financials for the previous quarter, but we had something else fun in store as well! 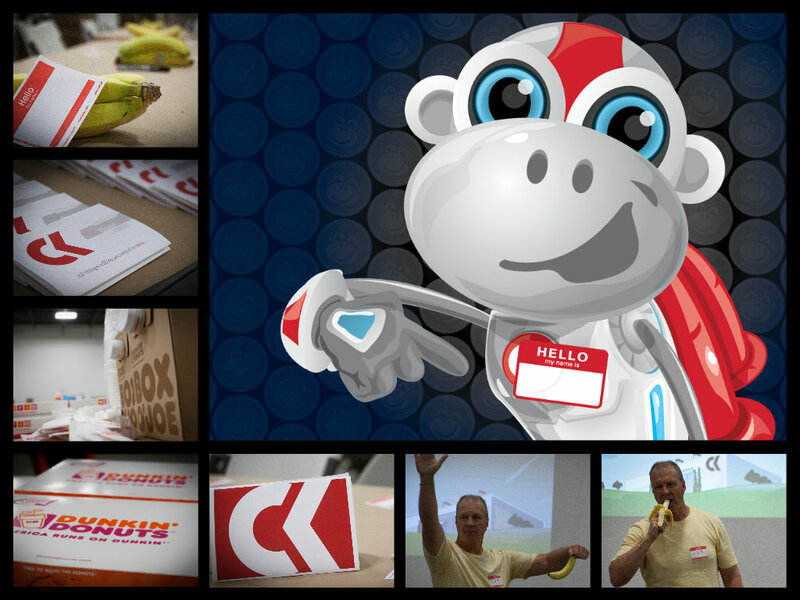 You have probably seen our little robot monkey hanging around in our emails, website, and print materials. The little fella has become a true part of the CK family and has fit right in quickly, but there has been one thing missing… a name! This week, the staff got to find out the name of the CK monkey (which they all voted on) and hear his background story. The guy is definitely a man…errr…monkey of mystery! In celebration of the monkey finally getting his name our President, Dave, led us in a toast of bananas and showed us how monkeys actually open and eat bananas – its not like you would think it would be! We are very excited about his new name and we will be sharing it with the public very soon! Stay tuned! Well it was that time again, time for the Quarter 2 kick-off meeting! 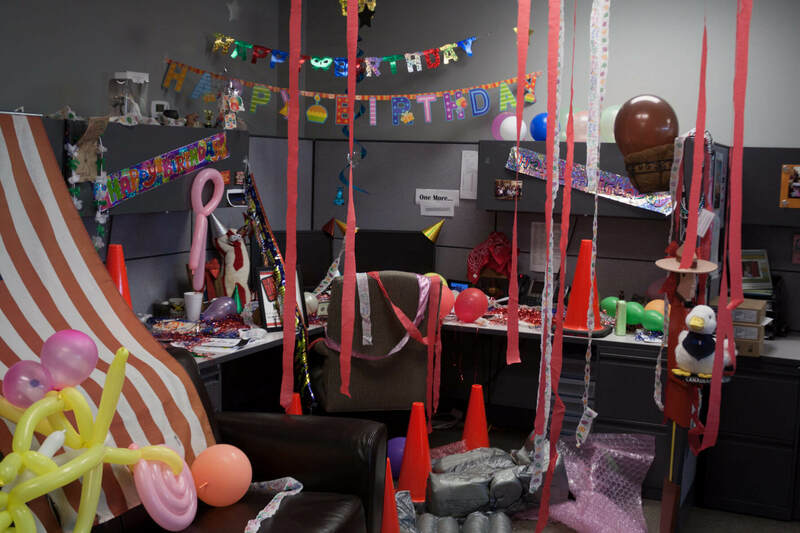 It is always a blast at these meetings…never a dull moment. 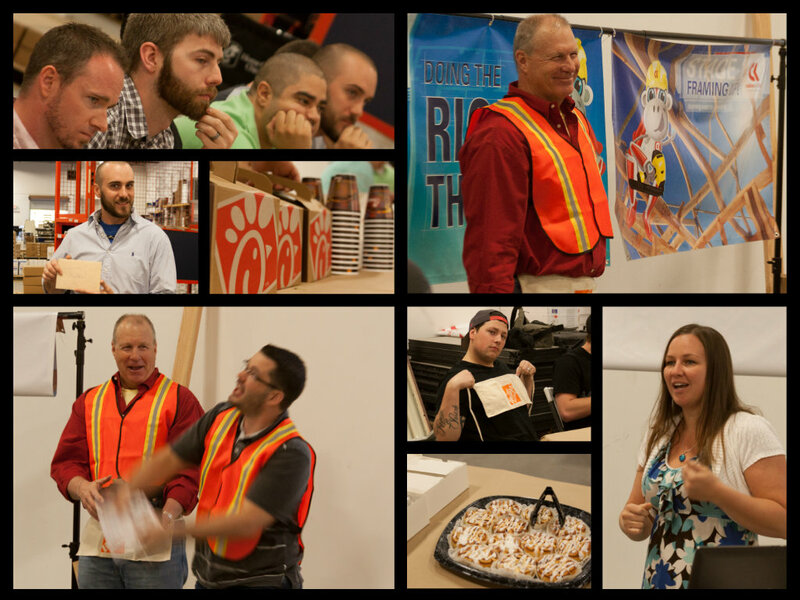 This time around we kicked it off with some Chick-fil-a biscuits and then everyone got ready to get to work and start “framing up” with their Home Depot aprons. This quarter our theme is Framing Up. We have laid the foundations now we are starting to build the walls around becoming Experts in Awesome. We did a quick review of last quarter and what we were able to accomplish, we also recognized our first set of Gold Star core value award winners for Q1: It was a great meeting rolling out the plans for the quarter. We are going to be busy, but our customers and community are going to reap the benefits! Oh, you’re back! That didn’t take as long as I thought it would. It is an interesting question, huh? Sometimes it is difficult to pinpoint exactly why you buy from that store or company and then at other times it is as plain as day. There are so many factors to think about. Now think about your business. With everything you are doing to run and maintain a successful business, time and energy are in short supply. We get that thought process. We also understand when it comes to finding your networking equipment and accessories you don’t really want to shop around. You want to find one place that offers exactly what you need at a competitive price.